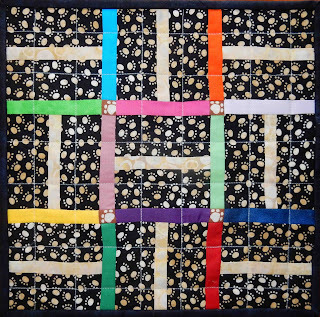 Thi is traditional piecing and machine quilted on a straight-line grid. 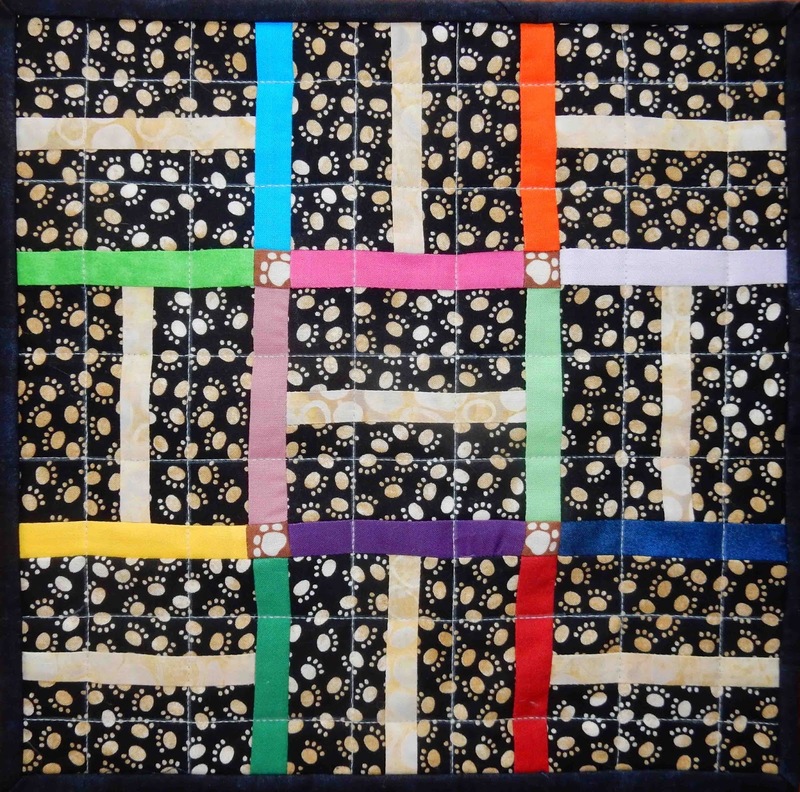 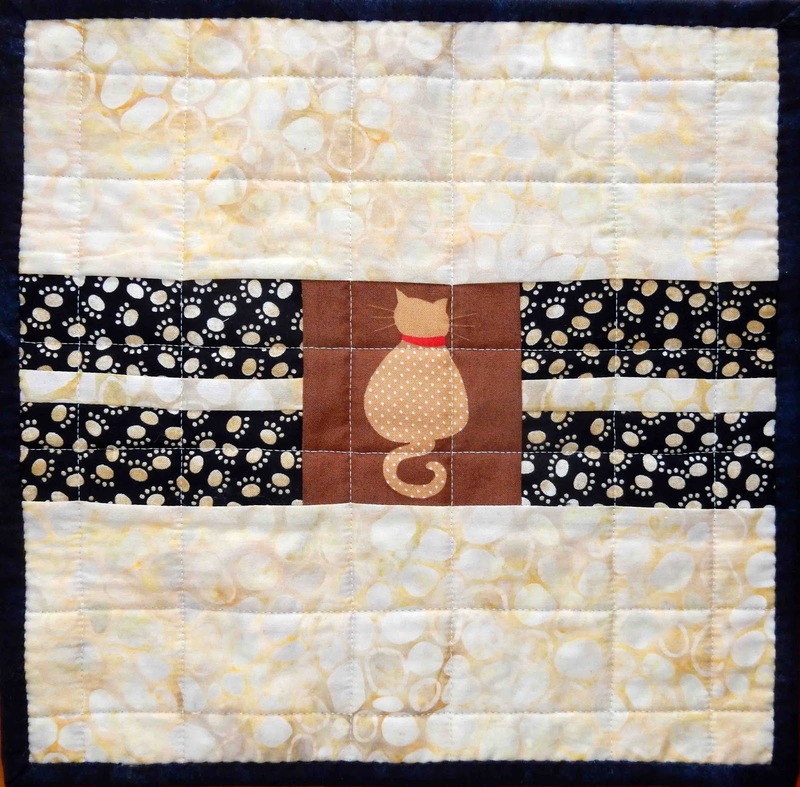 Made from cut off ends and scraps from a larger quilt and other scraps from my stash. 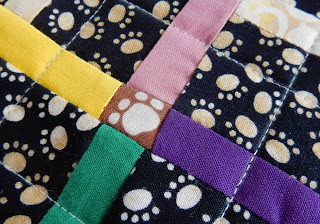 Cute little paws in the cornerstones. 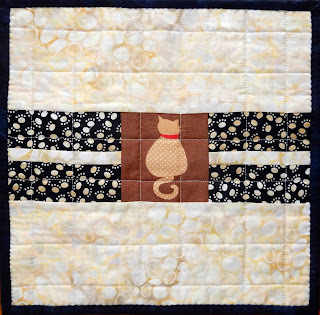 Love the cat on the back.